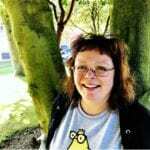 Mel Gibson is a Senior Lecturer at Northumbria University She specializes in teaching and research relating to comics, graphic novels, picturebooks and fiction for children. She has published widely in these areas, including a monograph, Remembered Reading: Memory, Comics and Post-war Constructions of British Girlhood (2015). Mel has also run training and promotional events about comics, manga and graphic novels for libraries, schools and other organizations since 1993 when she contributed to Graphic Account, a project on developing graphic novels collections for 16-25-year-olds, published by the Youth Libraries Group.